Approving the policy that governs the Annual Meeting site selection, including roles and responsibilities, criteria, and time table for evaluating and approving sites. This policy will be reviewed periodically. Recognizing that our Association is strongest when all attendees are free to pursue education and a career in legal information without fear of discrimination or exclusion on account of race, color, religion, gender, age, national origin, disability, sexual orientation, or gender identity. Approving the site based upon a recommendation and justification presented by the Executive Staff. Creating and distributing RFPs for cities based on the Annual Meeting site selection criteria (below). 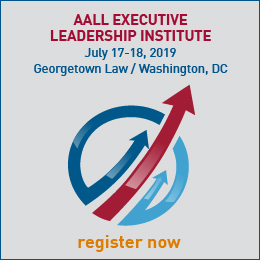 Distributing RFPs based on the concentration of AALL members in close proximity, and by survey responses from members regarding cities most favored. Researching state, county and city laws to ensure that there is no current or pending legislation, regulation, policy or practice, including but not limited to discrimination or exclusion based on race, color, religion, gender, age, national origin, disability, sexual orientation, or gender identity. Summarizing responses by criteria including availability of dates, program/meeting room and exhibit space rates, headquarter hotel rates and amenities, other hotel block rates, and transportation options. Providing a written summary and recommendation for site selection based on three cities in consideration. Contacting chapters in the region of the three cities recommended to solicit their interest and level of support in hosting the Meeting. Initiating contracts and agreements for the city, program/meeting room and exhibit facility space, and hotels based on city selection of the Executive Board. Prohibiting Subject Individuals from accessing facilities (including, but not limited to, restrooms). For purposes of this provision, “Subject Individuals” are those subject to any discriminatory or exclusionary legislation, regulation, policy or practice, including but not limited to discrimination or exclusion based on race, color, religion, gender, age, national origin, disability, sexual orientation, or gender identity. When notified by headquarters staff that a city in their region is being considered for the Annual Meeting, the chapter will promptly indicate their level of local interest and support in hosting the Meeting. 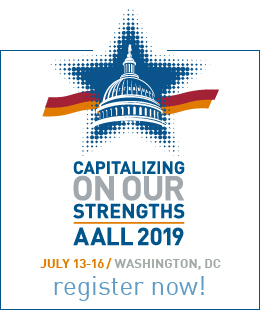 Goal: To select the best possible site to host the AALL Annual Meeting in an effort to maximize participation and financial return to the Association. additional factors include past performance in the city if AALL has met there before, indications of attractiveness of city as an attendance draw, past attendee and exhibitor survey site selection results, per diem costs, tier rank, city safety, and state, county and city legislation that is neither discriminatory nor exclusionary. A facility with approximately 85,000 gross square feet of exhibit space and adequate meeting room space to accommodate the Association’s requirements for educational programs, meetings and special events. Utilities, internet, security and catering services to meet the needs of the Annual Meeting. Full service headquarter hotel with appropriate amenities and preferably a minimum of 500 committable group-blocked rooms and variety of meeting/function rooms to meet the needs for catered meals, receptions and meetings. Potential sites will be investigated at a time that will allow the Executive Board to select a site four years in advance of the meeting. Chapters will be notified of sites under consideration in their region and will be invited to comment on the level of local interest and support to host an Annual Meeting. Staff will inform the Executive Board of at least three sites under consideration with a recommendation to the Executive Board to approve a site at their spring Executive Board meeting four years in advance of the Annual Meeting.